Its time to stock up on wines and fizz to get you through the seasonal festivites! 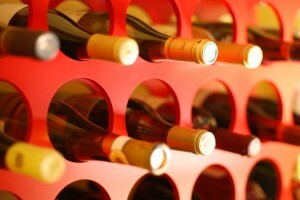 Have you thought about buying wine online? I’ve been looking at what’s on offer and have discovered that there’s a lot of good wine around at great prices some 50% off on cases or individual bottles. So why should you buy online… well apart from the online-only exclusives, for me the biggest advantage is having it delivered to my door safely and securely packed, it saves all that hazzle of lugging heavy bottles! You can also sit back in comfort, not feel rushed, shop around and read all about the wine – the grape, the taste etc. so that you find the wine to suit you and your pocket. Buying Online gives you the opportunity to compare prices and this is key to getting the best deal. From mouse to house – just view all the wines… select… checkout… and before you know it your wine is all wrapped up for Christmas! Here’s what some of the supermarkets have to offer online! And don’t forget to make good use of your Points Online! Tesco have up to 50% off bottles of wine I spotted a half price Isla Negra Merlot £8.99 now £4.49 and a very popular Jacobs Creek Reserve Siraz £9.99 now £6.99. Not forgetting the fizz a bottle of Codorniu Vintage Rose Cava is half Price £13.99 now £6.99. Tesco Wine by the case – they claim to have more than 50 wines at half price including Lanson Black Label Champagne £182 now £91 expensive yes but a good discount, an earthy Red Wolf Blass Silver Label Cabernet Shiraz £78 now £39 and a refreshing fruity White – Wairau Cove Sauvignon Blanc £62 now £31. All are limited to a maximum of two cases of each per customer. FREE DELIVERY ON ALL ORDERS UNTIL FRIDAY!!! Sainsbury’s ‘Off Licence’ again you’re really spoilt for choice as they boast over 650 wines to choose from and I’m glad to see lots are ‘On Offer’! First off I notice 33% off an all time favourite Hardy Nottage Hill Cabernet £7.98 now £5.31 and staying with Hardys they’re offering a Shiraz (Bin 53) buy 3 for £12.00 you can’t go wrong with that! But an offer hard to beat is Champagne Henry Dumanois Brut £29.99 now £14.99 not a bad price to toast in the New Year!! You can also save an extra 5% when you buy any 6 or more bottles of Wine or Champagne and it applies to wine on offer also. Asda not to be left out are offering an excellent deal on Blossom Hill Red Wine for £4.98 or 3 bottles for £10 hard to beat and a sparkling Pinot Grigio at £5.00. Being Christmas we must mention the famous Moet & Chandon Champagne for that special toast here at Asda for £30.54. Waitrose Wine Direct has an Online Only Offer which is a match made in hevan…. cheese and wine! An assortment of French and British cheeses for £5.00, a Wairtose Reserve Claret Bordeaux £5.00 and a Cowrie Bay Sauvignon Blanc £5.00. However, to receive this deal you must have a minimum spend of £50 Online and this offer ends 29th November! Not forgetting sites like Virgin Wines, Laithwaites Wines Naked etc. they are all competing for your business especially this time of year and are offering big discounts as well. Lastly always read terms and conditions and take note of offer expiry date. All wines mentioned above were available at discount prices at time of going to print. There’s lots of deals on Wines, Sparklings, and Champagne this Christmas so take full advantage of all that Online Buying has to offer… Cheers! 0 Responses to "Wine and Champagne offers you can buy online"